Hi, I’m Cookie and I am 15 yrs old. Yes, 15! I’m a little girl at 13 lbs but I’m as sweet as can be. I need someone to be home with me as much as possible because I like to be with you! I am house trained and will let out a whine if I need to go out. I do not do stairs so you may need to carry me in and out as I cannot see or hear well. I am looking for a comfortable retirement home where I can be with my person as much as possible. No small children or young dogs recommended as fast movements may scare me. Do you have a soft couch or chair I can sit with you in? Contact the wonderful people at PPN if you are interested in adopting me! Interested in adopting? 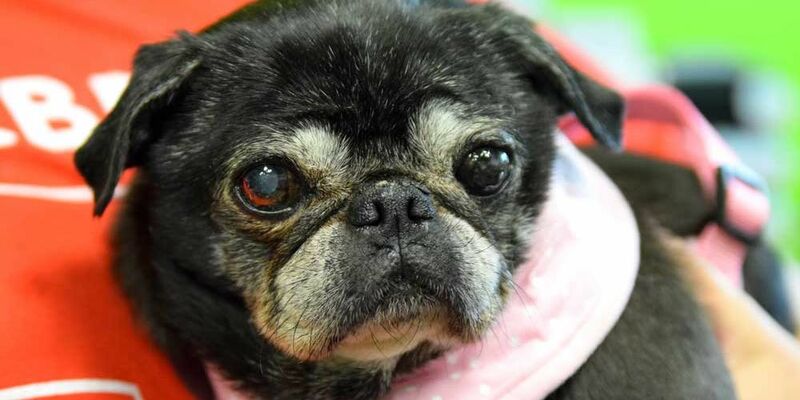 Cookie’s minimum adoption donation is $175. Thank you Timm B. for sponsoring Cookie!